What cars are best for accountants? Accountants have this stereotype of being quite…. vanilla. You know, a bit magnolia. But almost every accountant I have met have been quite the opposite. Working with numbers is no great joy. Least of all for me, I’m very much more of a words type person. So perhaps it’s that perception that working with numbers is boring that leads to this stereotype. When someone utters accountant I am immediately faced with a mental image of someone wearing an ill-fitting suit and thick-rimmed glasses carrying a calculator. Working on the assumption that the stereotypical accountant is more of a myth, I researched some of the most popular cars driven by accountants. To ensure this list of the best cars for accountants is accurate (because let’s face it our accountants love accuracy). I’ve also looked into a typical day in the life of an accountant. So let’s take a look at the best cars for accountants. The alarm goes off and our accountants day begins. Getting ready in the morning involves a brain food breakfast of kippers on toast. Plus a coffee to help stave away sleepy eyes while staring at all of those numbers. Working with people’s money has a lot of pressure and looking professional is paramount. It’s a Friday so our accountant is dressing down a little in smart jeans, brogues and a shirt. Packing up the IPad and MacBook off they go to the office. Lunch: Arriving at the office our accountant makes a cup of coffee and catches up with colleagues about last night’s TV and sets about their day. Emails open it’s time to respond to any overnight panic or questions thrown at them by self-employed clients or MD’s. Anything from ‘Can I claim tax back on this’ to ‘how does capital gains tax work’. From here it’s time to prepare the receipts and file the tax return for a client who runs a building firm locally. Remembering the receipts are in the back of the car our accountant takes this opportunity for a 5 minute break to fetch them. They are all loose in a Tesco carrier bag and here is where the fun begins. Clearing space on the office floor our accountant must put each receipt in date order, then add each expense into a spreadsheet. Then, it’s time to complete the HMRC return on behalf of the customer. Our accountant must visit a corporate client in the next Town to discuss their merger with another firm. Packing up the computer and various fact sheets our accountant drives to their office. Parking in the underground car park at the client’s office is always a nice experience. Surrounded by director’s fancy cars it’s like a museum for anyone who enjoys the finer things in life. The meeting goes well and our accountant heads back to the office. It’s time to document the afternoon’s meeting and set action points to help the merger complete on time. When that’s done our accountant decides to finish working from home. There are only a few emails and some more receipts to prepare. On route home, our accountant stops off to collect receipts from another client too. This time they are in some sort of order and each expense type has its own folder. Carrying the stack of folders back to the car looks a bit like a comedy sketch, but if these went flying everywhere it probably wouldn’t be very funny. Emails replied to and receipts sorted our accountant clocks off for the day to enjoy some dinner and a pub quiz with friends. Aside from the obvious four wheels and motor, our accountant requires a few features which will help to make their driving experience more enjoyable. After investigating a day in the life of an accountant I noticed that image is a big consideration. Portraying professionalism is very important when it comes to dealing with people’s money. Not only that, our accountant mixes with some big-fry clients as well as small independent business owners. Therefore the car must ooze professionalism combined with a dash of luxury so our accountant does not look misplaced against others in the field. Equally, our accountant doesn’t want to be too high end that the smaller clients cannot relate to them or think that they will be charged too much to pay for a flashy car. Transporting important paperwork such as receipts around means our accountant often has to carry stacks of folders or bags to and from the car. Wouldn’t it be handy if the car offered keyless access? So the car unlocks without needing to hold the keys in your hand. A car with in-built Wi-Fi would allow our accountant to respond to emails on the fly and an infotainment system with inbuilt Bluetooth would enable them to take important calls while on the road. With the average accountant earning upwards of £50,000 per year it’s safe to say the budget for their car is typically in a higher bracket. When putting together this list we wanted to ensure affordability but also great value for money. As you can see a lot of thought has gone into this list and here are the top 5 cars I’ve selected for accountants. Complete with stylish and practical looks, comfort access (keyless entry) and a whole host of incredible safety and driver assist features it’s a must-have for the list. Traffic jam assist is an added bonus helping our accountant get from A to B easily. 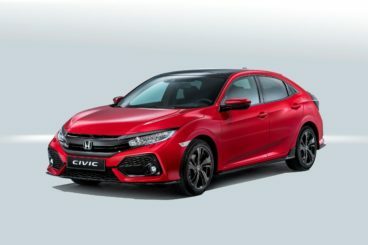 A modern stylish look the Honda Civic offers a touch of luxury while being respected as a good, honest, reliable vehicle choice. Not too flashy, not too budget. Somewhere in the middle. The EX version comes with smart entry (keyless entry) and Smart Start (push button/keyless engine start). A series of driver assist features help the Civic feel like a safe bet. 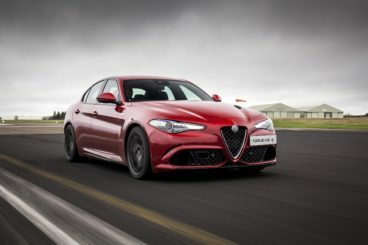 Super stylish and sleek the Giulia is a fun to drive vehicle which shows off some serious professionalism. Once again, although it features some little luxuries, the Giulia doesn’t look off-puttingly expensive. Keyless entry can be added as part of the comfort package. For the safety conscious or those seeking a smooth drive every time there’s Alfa DNA. A neat feature which monitors the balance of the car to ensure the engine, gearbox, suspension and steering is adjusted to suit. 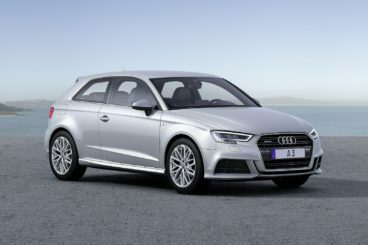 Oozing style and class the Audi A3 can easily be passed off as a practical car choice for our accountant. While the Audi name tag will sit well with top end clients. Smart key technology allows our accountant to unlock the vehicle without having to hold the key. Additional perks come from the infotainment system which offers Colour Driver’s Information System (DIS) – 3.5” full colour display in the instrument cluster giving you driving statistics and access to functions like telephone menu, distance travelled and fuel level warning with remaining range. Combined with voice control, Bluetooth and 8 active loudspeakers. Another classy and stylish choice for the list that wouldn’t raise too many eyebrows, or look out of place on a forecourt full of Mercedes and BMW‘s. 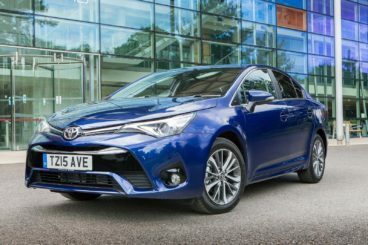 The Avensis is packed with neat features and safety technology for a high-end feel for the driver and passengers. An optional extra I love is the road sign assist. Road sign assist reads roads signs and tells you if you are going above the speed limit. 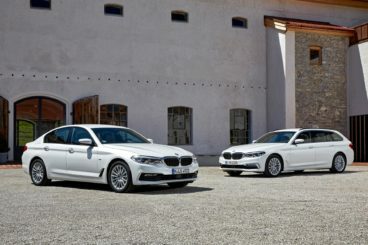 I hope you’ve enjoyed this round up of best cars for accountants as you can see we’ve steered away from the stereotype avoiding more ‘practical’ brands like Volvo and Ford in favour of something with a little more luxury. No more vanilla car choices for accountants. Spice things up a little. I would NEVER want a car that advises me that I am exceeding the speed limit, ever (I am virtually ALWAYS exceeding the speed limit a little)!! I can’t think of ANYTHING more annoying to have on a car.